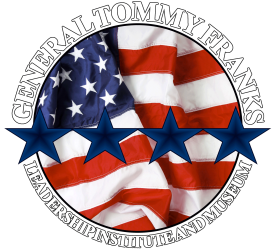 Midland Young Leaders Challenge with General Tommy Franks is a world-class summer leadership program offering 30 of the top high school juniors in Midland County a face-to-face experience with General Franks and prominent Midland leaders. The program will be hosted June 12-13 at the Midland College campus, free of charge. ​The Midland Young Leaders Challenge will help to develop leaders who can solve problems and communicate solutions that will propel our world to greater peace, prosperity and mutual respect. The program is built around General Franks’ Four Stars of Leadership: character, common vision, communication and caring. Those core principles guided General Tommy Franks through a 38-year military career. ​During the program, students are presented with ethical and leadership challenges to improve their leadership ability and confidence through persuasive communication, character and leadership development. Attendees will participate in a persuasive speech contest and have an opportunity to earn scholarships as well as the chance to attend the national Four Star Leadership program in July hosted by General Tommy Franks. 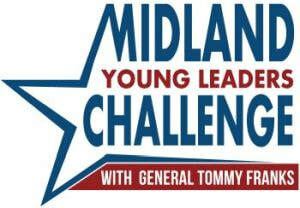 ​The Midland Young Leaders Challenge is sponsored by Midland College, the Midland Independent School District and the General Tommy Franks Leadership Institute. ​For more information and to apply, visit www.MidlandYoungLeaders.com. Applications for the 2019 program are due by March 29.